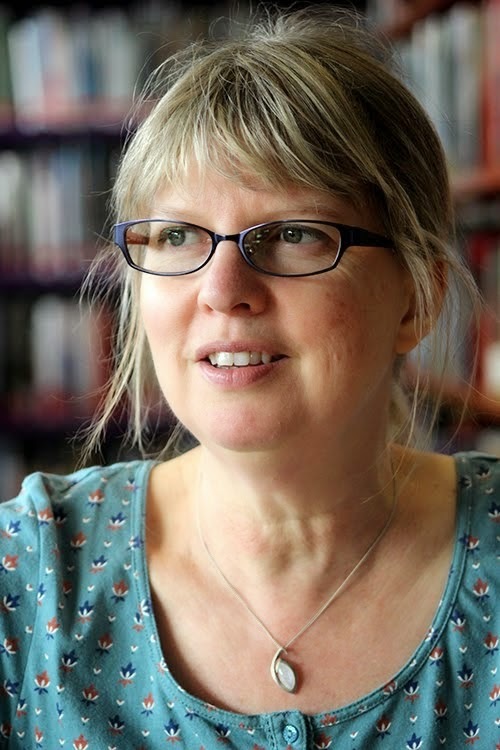 Last week I did my first author school visits for ONE OF US at three London schools – St Cecelia’s in Southfields and The Charter School in Dulwich on Thursday and Bishop Ramsey in Ruislip on Friday. 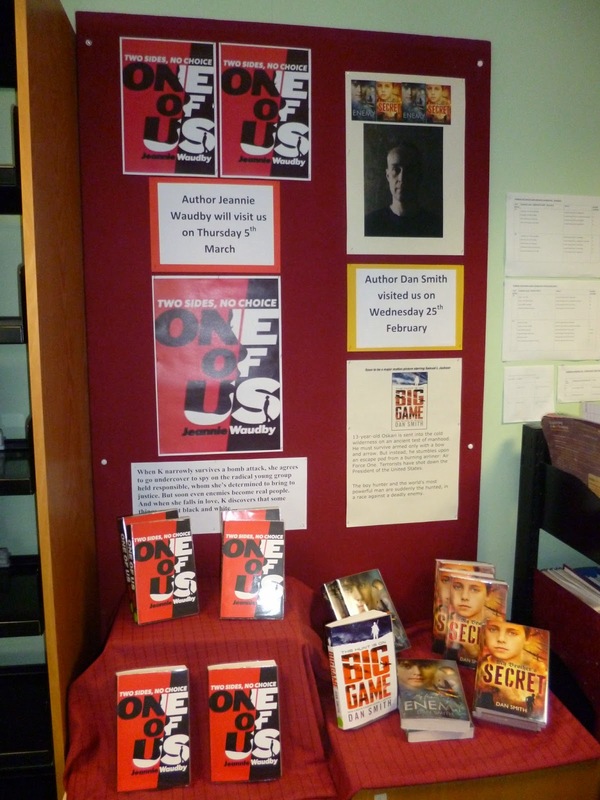 I really enjoyed all three visits and was made very welcome by the Library staff and Pea Green Boat Books who took me between the schools on Thursday, and by the English Department at Bishop Ramsey on Friday. The thing that really struck me was how creative and engaged the students were. We had a short activity writing first lines and they came up with some great ideas – in just three minutes. It was also nice to finally come across a few other people who read books in the wrong order! And to spend time in school libraries which are so vibrant, well-used and a hub of all kinds of activities, many run by the students. 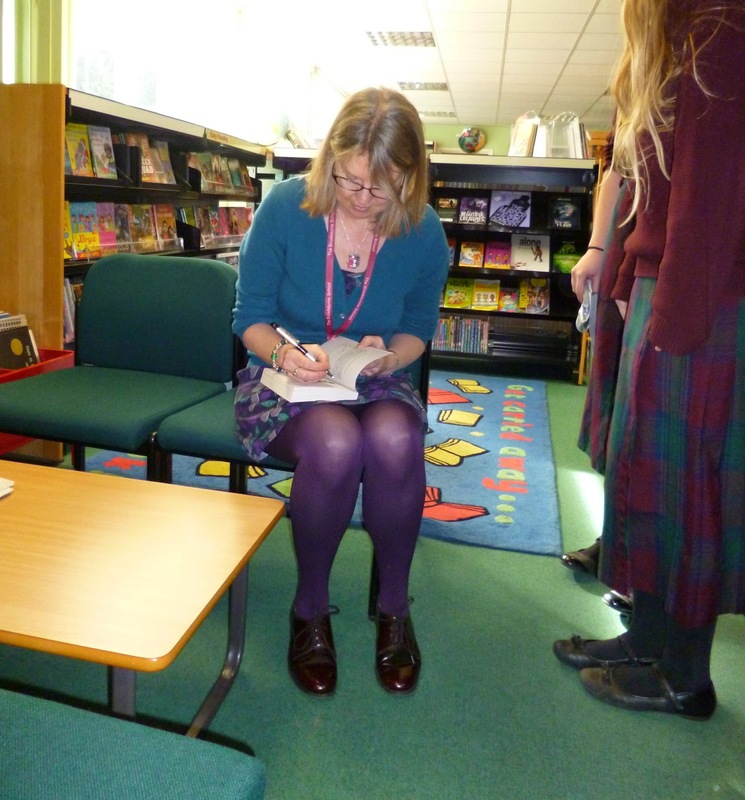 Yesterday I had a great day at Broxbourne School with Hoddesdon Bookshop. Here the emphasis was on creative writing and I was struck by how strong the students' story ideas and first lines were. One story was so scary that it gave everyone a collective shiver! At lunch time, the Library group spread out a feast which they had brought in themselves, and we sat round a big table eating and talking about the books they love and their own writing - lovely! My first four school events have been interesting and fun. All the schools were very welcoming and I value being able to spend time talking with teenagers about books and writing. So glad you enjoyed your first outings! Congratulations!